Welcome to the Isocracy Network, Qassem Al Salamat, and thank you for agreeing to this interview. Can you describe the situation in Syria before you left? What were the circumstances that caused you to flee to Turkey? Regarding your first two questions on how was the situation in Syria before I leave and the circumstances that caused me to flee to Turkey. I was living in horror after I got out of prison because of participating in protests, and I was terrified that one day they will take me back to prison. I couldn’t take refuge in the liberated regions east of Damascus because of two reasons: being afraid and worried about my family who lives in the region controlled by the Syrian regime, and my liberal and secular thoughts were not acceptable in those regions, and in the end I knew that I will end up (by force) joining one of the fighting groups because my major in the military service was tank mechanic. My house was shelled and I was homeless and displaced. My mother lost her life to cancer, and my brother-in-law was detained and no one knew where he was detained. This was my situation in particular, but in general there were killings of innocent people, displacing people from their homes. No laws, kidnapping people was ongoing on sectarian basis. No vacant jobs, and transportation was almost impossible due to the regime’s barricades spreading on the streets of Damascus. You had to be either neutral or a victim. The UN Refugee Convention says that asylum seekers must seek asylum in the first safe country of refuge that is a signatory to the convention. Turkey is a signatory and some may ask why is it that you cannot stay there? In reply to the third question on why I cannot stay in Turkey although Turkey is a signatory to the UN Refugee Convention, my reply is one word, Bureaucracy. 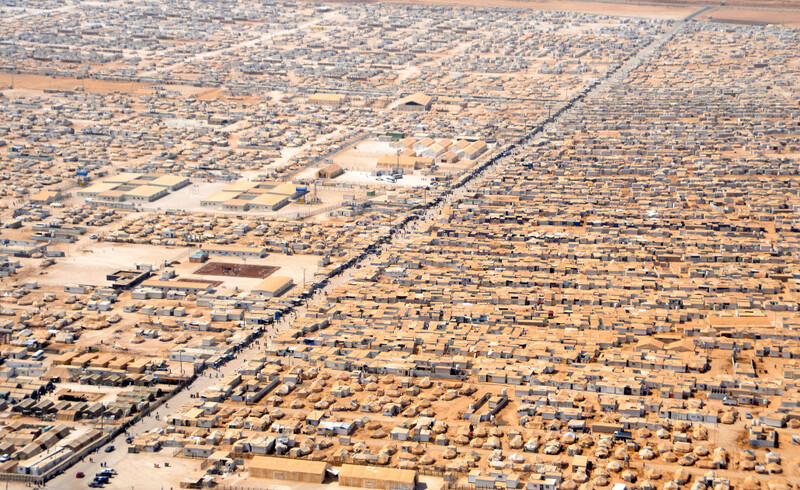 To be considered a refugee I have to go to one of the refugees’ camps near the Syrian borders where I can do nothing. I cannot work while being at the refugee camp. I cannot see any future for me living in a refugee camp, it’s another prison for me. I want to be active in life. In addition to that there is corruption in the refugees camps according to eye witnesses in such camps. And above all, I cannot be accepted in one of those camps as a refugee because I entered Turkey legally through Ataturk airport. You can add the language obstacle which I wasn't able to learn properly although I did my best. I had no money to enrol in a language course, so I managed to download some learning materials from the internet, but the lack of the suitable conditions to learn and the lack of the right tools were a reason to why I couldn’t learn the language. Everyone in Turkey wants to speak Turkish, even if you were a tourist coming for a few days visit. in the beginning I tried to speak English to them but my trials were faced with indifference, as if I wasn’t visible or as if I was nothing. Every time I need some help when the language is concerned, I ask one of my friends who is bilingual, to help me. One of the other reasons why I cannot stay in Turkey is that I'm not allowed to work legally. İf I'm working black they would take advantage of me in every way possible, to make me work overtime for nothing and sometimes they wouldn’t pay me, which happened to me before in two cases. Despite all the reasons mentioned above on why I cannot stay in Turkey, there is the most important reason. The AFAD Temporary Protection ID. When I arrived in Istanbul I went to the Emniyet in Fatih District to apply for the residence permit. I lodged my papers and waited for an appointment, then after that I was asked to pay for the residence permit. I paid around 100 Turkish Liras and upon the appointment to receive my residence permit they told me the law has changed and I have to wait like thousands of Syrians for the new law. I couldn’t get back my money although I was in a bad need for money. A few months later the new law was that Syrians should obtain the AFAD Temporary Protection ID. I had many difficulties to apply in the beginning, that they need a rent contract of the house I live in, I was living with another 12 people and I was only renting a bed. The Turkish owner refused to give my friends and me the rent contract. After that I moved to another area. I’m living right now in a house with 8 people. I felt things could change this time so my house mates and I asked the landlord if it’s possible to have the rent contract. The man agreed and I could apply for the AFAD Protection ID, and I had almost 3 months to go to the appointment. After 3 months I went to the appointment in order to obtain my AFAD card, but the employees there told me I have no right to have the card because, again, I entered Turkey legally through Ataturk airport. They found my name in the system, because my passport was stamped upon my arrival. I asked an employee there why they couldn’t give me the card, he whispered to me that I can have it if I pay some money. How long have you been in Turkey now? What's your legal status there? How many other Syrian asylum seekers are in the same situation? How do they live? I have been in Istanbul since February the 2nd through Ataturk airport coming from Beirut, Lebanon. I tried to ask at the airport about taking refuge, but I couldn’t get any help since there was no one who could speak English or Arabic. Regarding my legal state in Turkey, I’m stateless. I don’t feel protected, I don’t feel safe, and I don’t have human rights. I don’t have any record in Turkey, no fingerprints (even at the airport they didn’t take my fingerprints), my passport has expired on October the 15th, 2015, even if I tried to take money through a money transfer I cannot do that because my passport is expired. How many Syrian refugees who are facing the same circumstances. I don’t have the exact number or a real statistics, but I can tell you I met people who are in the same shoes, many of them. Even a lot of them are highly educated but they are poor. So they are living on the minimum. Some of them are not working at all, others are working black, some people are begging on the street. I have known a person, later I heard he tried to commit suicide, but I don’t know if he’s still alive or not. Some of them couldn’t live on the minimum and they returned to Syria to fight. Other refugees worked and saved up money to take the trip through the sea to Europe, and I'm sure you have an idea about the number of these people. Have you been able to apply for a Australian Humanitarian Visa? What has been the outcome of that application? I have been able to apply for the Offshore Humanitarian Visa to Australia. I applied on April 2014. My proposer is an Australian lady, Joanne Roberts. And until now i had no answer about my application whether it’s positive or negative, and they are not even answering my emails. The outcome of my application is still a mystery. They only gave me a file number for my application on April the 4th, 2014. What do you think is the future for Syria? Can the war end? Has Russia's intervention improved the situation or not? The future of Syria is unknown. It exceeded what happened in Iraq and Afghanistan, and most probably it will become another Somalia. What happened and still happens in Syria is the same as happened in Rwanda. The war will end since everything has an ending, but no one knows when he war will end. Hopefully it will end soon. Russia has intervened since the beginning and it didn’t improve the situation. I think it’s all about resources and gas struggle between Russia, Qatar, and other countries. I cannot mention everything in a paragraph or an email, but this is what I believe and Russia has definitely made the situation worse. I'm still concerned about my safety in Turkey, because there are a lot of Syrians who are pro-Assad in Turkey and they are ready to hurt anyone they know is against Assad. Nowadays I cannot work. And since my passport expired I cannot receive any monetary help from Joanne who used to support me financially during the validity of my passport. Nowadays I don’t even have enough money to buy food . I cannot describe myself as the most refugee in need but be certain that after I knew Joanne and her family and becoming a member of this family, no other refugee is in love with Australia as I am. I wish to finish studying in Australia one day. All of these things are mentioned in the updates about my application which were sent to the Immigration Department in Melbourne. And if you need witnesses on the things I mentioned, you can ask my sponsor about them, Joanne has become a family for over than 4 years and she even knows my family. I hope this will give me answers regarding my application. The long waiting has exhausted me psychologically and financially. Thank you for the continuous support you give to the refugees around the world. Thank you for your assistance and looking forward to hearing from you soon. Commenting on this Story will be automatically closed on April 12, 2016.